The smallest and lightest PEN features a new and simplified user interface as well as a streamlined button structure for superior ease-of-use. Its small size and portability make it the ideal camera to document lifes fun and spontaneous moments. 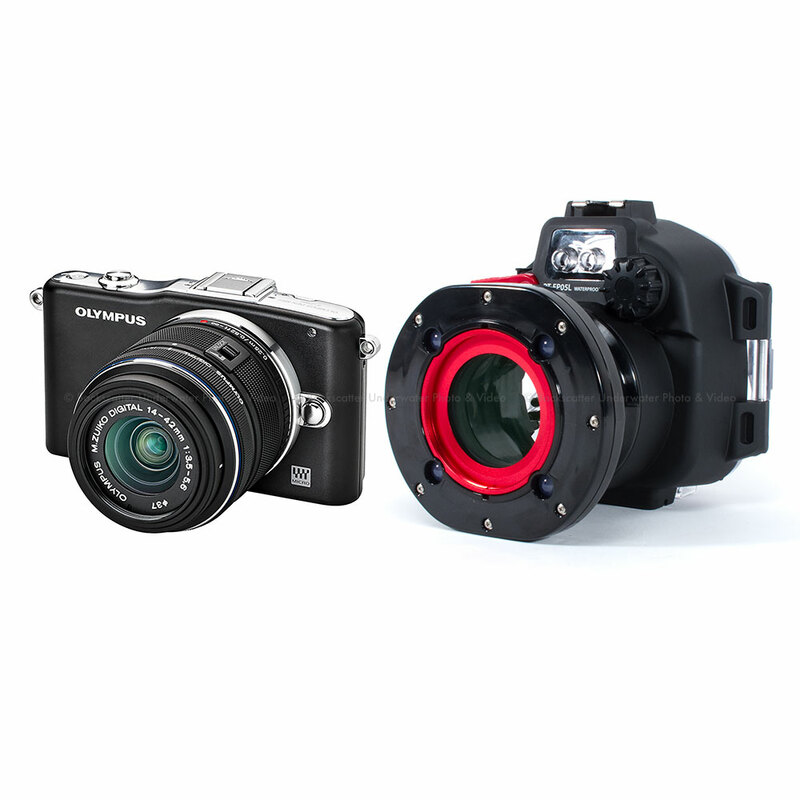 There are 2 different Olympus housing available for the Olympus E-PM1 Camera; The PT-EP06L & PT-EP06. The PT-EP06L has 4 small LED lights on the from of the port along with a 67mm threaded lens adapter built in. This port is only compatible with the 14-42mm lens. The PT-EP06 housing has a larger port opening and can work with the 9-18mm, 14-42mm and 60mm Macro Lenses. Specially customized for the E-PM1, the new lightweight PT-EP06L underwater case is waterproof up to a depth of 45 meters. Its high-quality polycarbonate design and engineering seals cameras completely from any trace of moisture, as well as cushioning the sensitive equipment from knocks and bumps on land. With the optional PTMC-01 Macro Converter and Macro Lens Adapter PMLA- EP01, you can turn your E-PM1 to an underwater macro camera for stunning photos of the world underwater.